We carry rectangle tables, round tables and Bistro tables for cocktail hour. 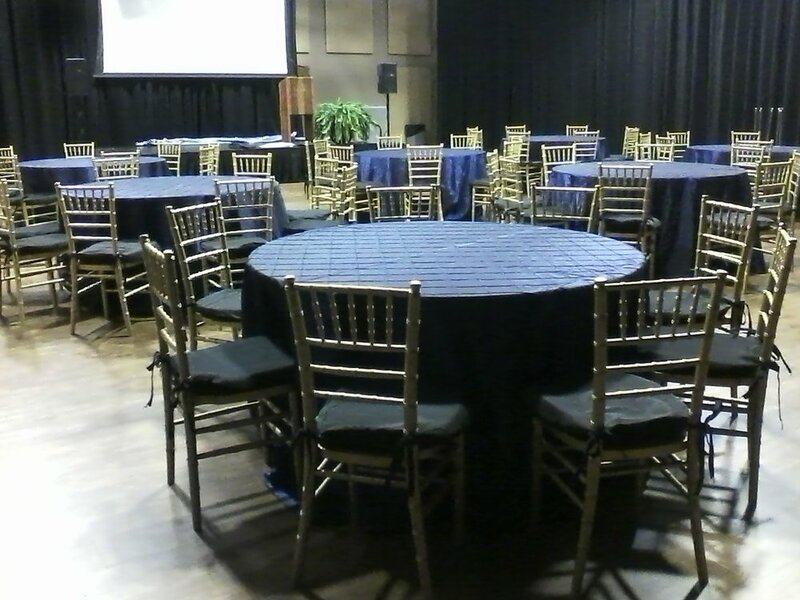 For seating, we carry folding chairs, banquet, ballroom and chiavari chairs, As well as bar stools to go with the bistro tables. 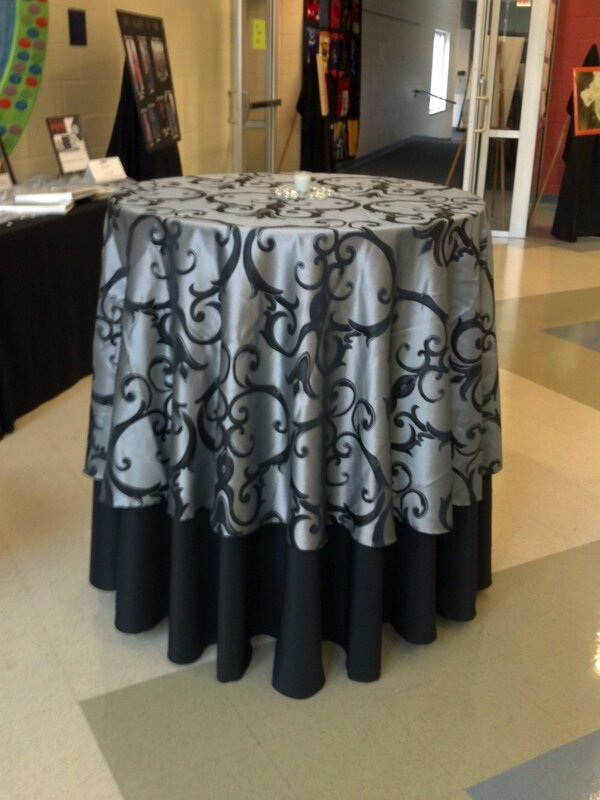 We offer 8 x 10 vendor booths with sides in black or white fabric. As well as room dividers up to 14 feet tall. We have staging and up lighting to create a unique scene for fashion shows, guest speakers or for entertainment for the event.